My mom is the best cook ever, and anyone that knows her will tell you that my mom can make the best meals and so I like to think that I have inherited my cooking skills from her, I’m obviously not a professional cook like my mom, but I think my flavours are always there and my family is always happy with the meals, well except for Tazkia who bloody eats nothing other than chicken nuggets and it must be from a specific brand or peanut butter and strawberry jam sandwich (although I think she might be tired of this sandwich now because whenever I ask her whether she wants a PB&J sandwich she says she doesn’t eat it, weird child) also the jam must only be from Woolworths. My word, we try to teach our kids that food is sacred and shouldn’t be wasted because there are so many children and families out there that don’t have anything to eat. Anyway, I’m completely off the point now. 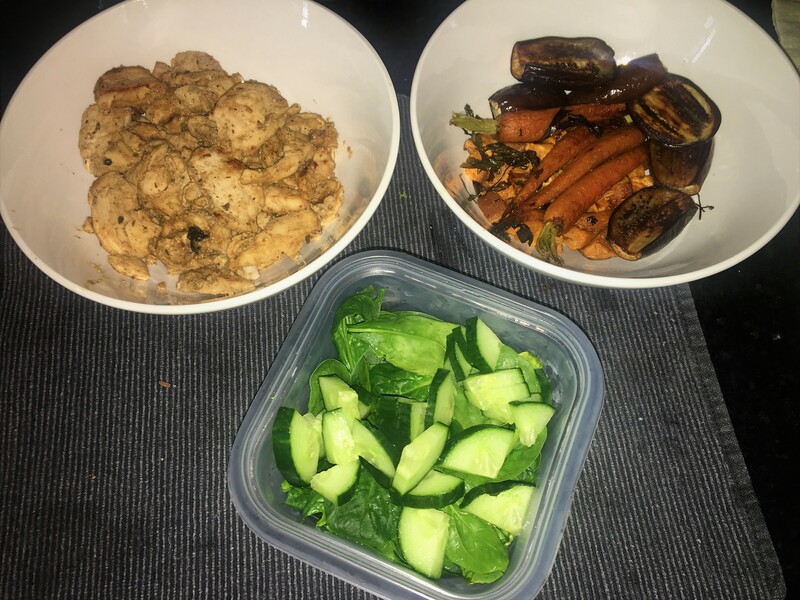 I have an easy chicken and veggie dinner recipe that I hope you will love. 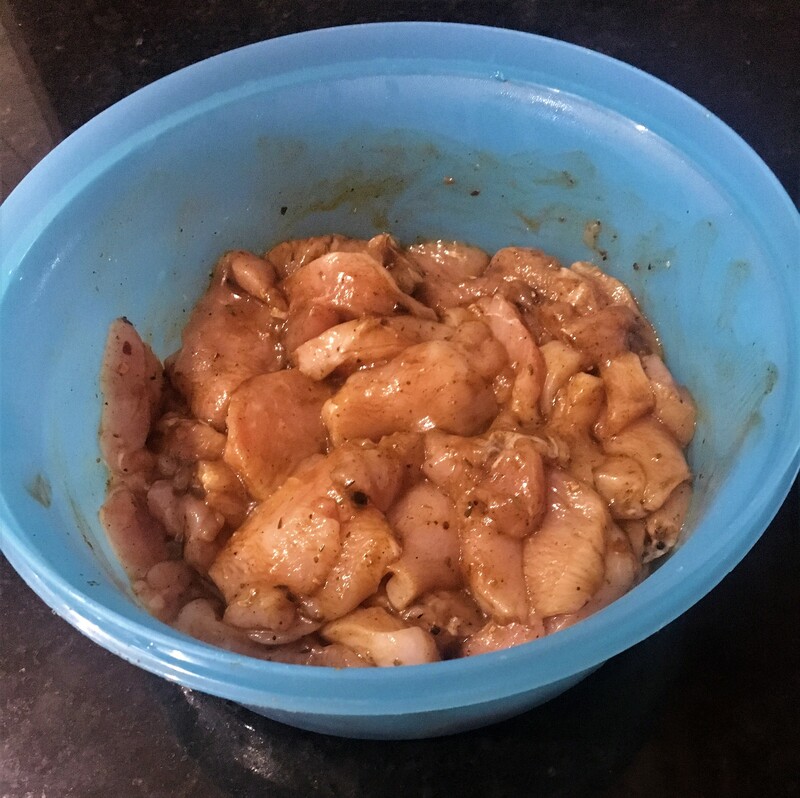 Marinade – Add a pinch of salt and pepper with Woolworths Italian rub onto the chicken, and add some Lappies braai sauce (I’m not the do it from scratch type) to the chicken for a Smokey taste. Wash, clean and cut up egg plants, carrots and sweet potatoes, you can prepare just enough for the amount of family members you have in your household. 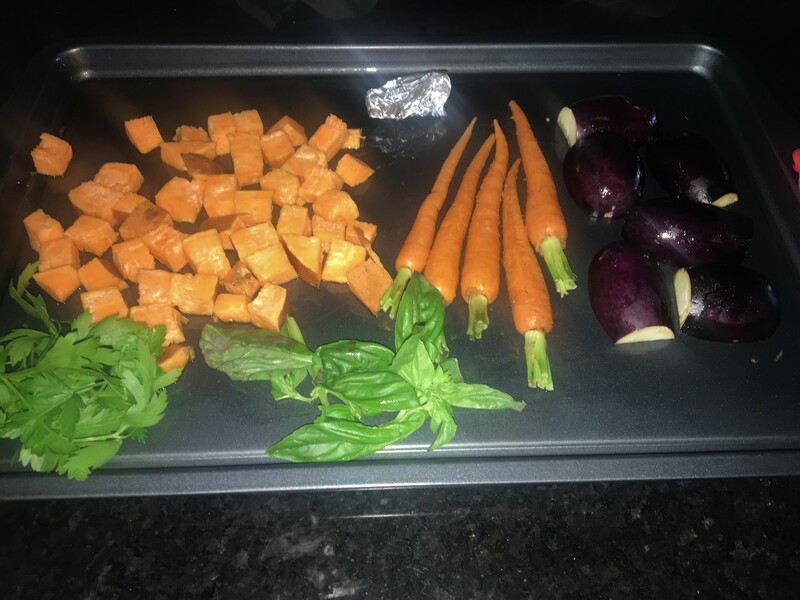 Place veggies in baking tray with some olive oil or plain old fish oil if that if what you have. Bake until veggies and chicken are cooked and please note that the veggies will cook quicker than the chicken so the veggies must be checked regularly and taken out of the oven when cooked. 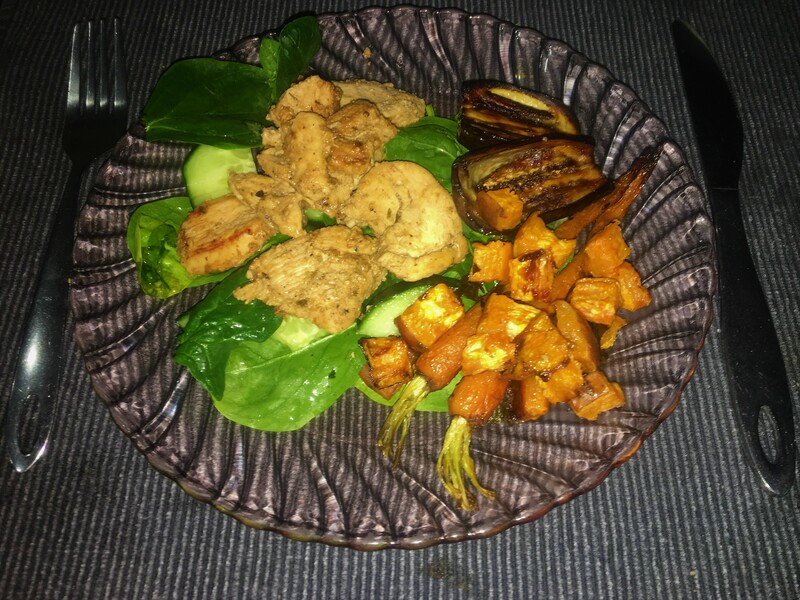 Cut up any salad ingredients that you may have, I had butter lettuce, baby spinach and cucumber, my husband likes a little crunch to his meals and I just love salads and I will always have some sort of salad on the table. If you create your version of this meal then please tag me with #crazymomjournalrecipes on Instagram. Let me know if recipes are something that you would like to see more on the blog. So what do you do with the garlic and when do you use it? Recipe looks delish. I love doing veggies in the oven so definitely going to try this. I completely forgot about the garlic, but i just added it to the veggies so that the juice of the garlic can infuse in the veggies. It looks really appetizing. Especially those carrots!